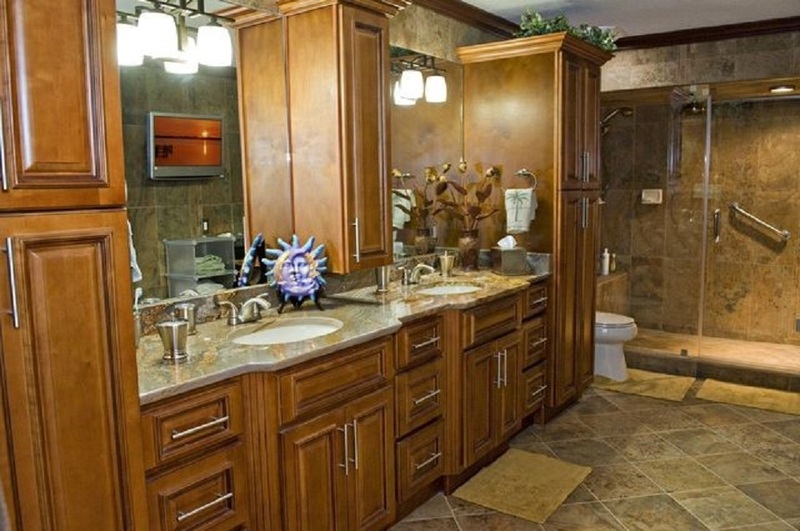 Do you want to own a five-star hotel like bathroom in your lavish apartment? 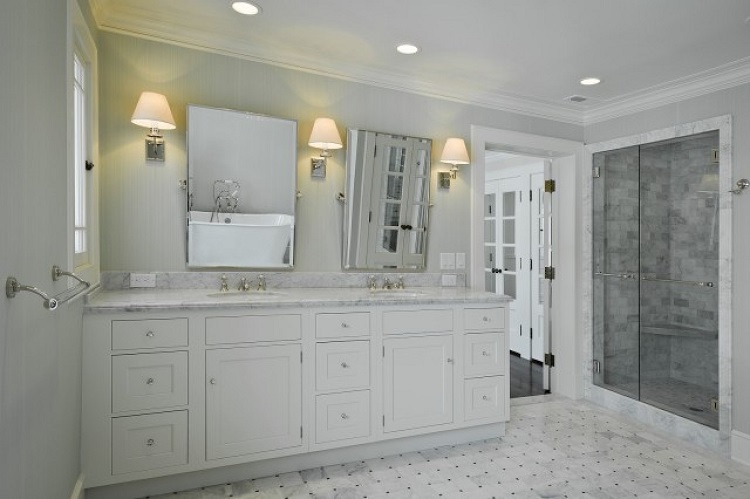 When you are taking such a lot of effort in designing a luxury home, your bathroom should be luxurious too. Here are the latest trends of modern luxurious bathroom designs. Get ready to be inspired. Trough sinks are a chic alternative to the double vanity and can beautifully grace the lavish interior of your luxury bath. This kind of a novelty can make something as mundane and ordinary as washing hands seem like a fancy treat. Gone are the days when showers used to be just designed for taking a shower in the upright standing position. The new innovative trend is the shower seat. Right from the built-in bench, floating bench to fold down seats, there are a variety of options to choose for your luxury bathroom. Along with giving your bathroom, an exquisite appeal, it also adds more function and comfort to your everyday experience like washing toes, shaving legs etc. You certainly can’t deny the dynamic impact of a huge freestanding bath in the middle of your spacious bathroom. Use a traditional claw foot bath in a Victorian style bathroom or go for a more modern focal point with a futuristic looking oval tub. And the best part is you are not restricted to where you can locate it because these are freestanding and finished from all angles. With its stunning flexibility of placement and easy cleaning and maintenance, these bathtubs are certainly designed to be noticed and not just blend into one corner of your luxury bath. Modern Bathroom Vanities, available in various styles can give your lavish bathroom a hygienic and organized look. Having a huge bathroom does not mean you can scatter around all your cosmetics, electronics, medicines and other tools. Vanities have assorted chambers, drawers and shelves where you can store all your belongings in an organized manner without giving the world a peep into your private lives. Highlighting the bathroom ceiling with various kinds of stud lights or pendants is essential for drawing attention to the lavish interior décor of your luxury bathroom but in order to make it more stylish and chic, you can also add shower lights to illuminate the shower area. It adds a unique and exuberant touch, setting your shower area, stand out from the rest. Heated floors have become quite a popular trend which is more likely to pick up steam in 2017 not only because of a deluxe feel but it is also an extremely practical investment. They host the ability to dry out the moisture and humidity in your bathroom caused from the daily showering and bathing. If you have a huge bathroom space, you can make use of various decorative elements to fill up the space in an aesthetic manner. Make use of natural stones and minerals to make a small stone bench near the bath or put a stool covered in a polished mineral. And if you have the budget, you can also consider a marble or a natural stone bathtub or a polished stone sink instead of the common porcelain. And since Green Bathrooms are quite a talk of the town from the last few years, you can also add some greenery with a tiny indoor garden to your bathroom. There are various companies that offer bathroom vanities, RTA Kitchen Cabinets and other furniture for your contemporary home. 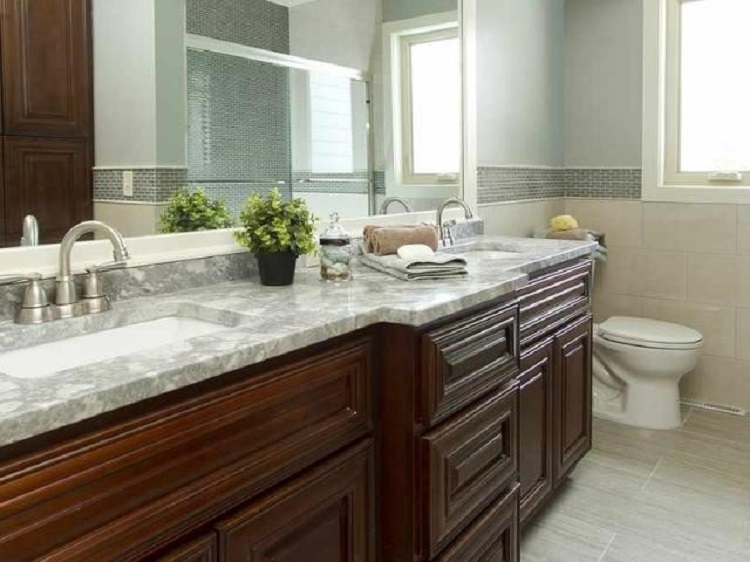 You may also want to consider an interior designer to know other stores and online sites from where you can get such essential supplies for your luxury bathrooms. So, what are you thinking? Bring in all these trends right into your lavish bathroom and give everyone a solid reason to envy you.